Nov. 10, 2015 MINNEAPOLIS — NUU Mobile is proud to announce its sponsorship of the Minnesota Timberwolves for the 2015-2016 season. NUU Mobile, a manufacturer and distributor of unlocked Android™ smartphones, joins forces with the NBA franchise at an intriguing time. The Wolves feature the #1 overall draft picks from the previous two drafts, 2015 Rookie of the Year Andrew Wiggins and Karl-Anthony Towns, the presumptive favorite for this year’s award. 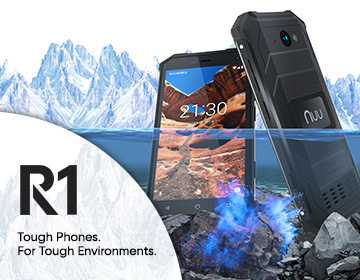 Launched in 2012, NUU Mobile has steadily expanded across the globe thanks to the popularity of its line of premium-quality, affordably priced smartphones. With partners in Hong Kong and growing distribution networks throughout North and South America, the company is quickly becoming a global leader in the highly competitive smartphone market. The Timberwolves are also continuing their rise to the ranks of the NBA’s elite. Thanks to the influx of young talent and the return of veterans like Spanish sensation Ricky Rubio and 15-time All Star Kevin Garnett, the franchise is widely considered one of the league’s most promising teams. As part of the sponsorship agreement, NUU Mobile will provide in-game interactive entertainment during select Timberwolves home games. In addition, NUU Mobile will sponsor free product giveaways during College Night promotions. The smartphone company will also help the Wolves introduce promising new players on social media, including Towns, first-round pick Tyus Jones (a Minnesota native), and European imports Nemanja Bjelica and Damjan Rudez. NUU Mobile is a Minnesota-based company that designs, manufactures, and distributes unlocked Android™ smartphones and accessories. Its products are available in major retailers such as Target, Walmart, and Best Buy. For more information, visit www.nuumobile.com. The Minnesota Timberwolves are a National Basketball Association (NBA) franchise based in Minneapolis, MN. The team was founded in 1989, and is owned by former Minnesota Senate Minority Leader Glen Taylor. The Timberwolves reached the Western Conference Finals in 2004. For more information, visit www.nba.com/timberwolves.